Publications may be viewed by category: 3D Displays; Subdivision curves and surfaces; Other modelling; Eye tracking; Aesthetic image processing; Graphic design; Art; Human figure animation; Imaging; Texture synthesis; Image resampling; Image compression; Education; or all publications. 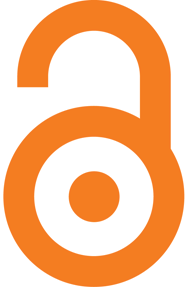 Most publications are available for free download. However, some are available only from the copyright holder's websites. This is noted in the list below, with an appropriate link. Some copyright holders require that either you or your organisation is a member or request payment of a small fee. "What is the 'opposite' of 'blue'? - The language of colour wheels", N. A. Dodgson, Journal of Perceptual Imaging 2(1), January-June 2019. "A colour interpolation scheme for topologically unrestricted gradient meshes", H. Lieng, J. Kosinka, J. Shen, N. A. Dodgson, Computer Graphics Forum 36(6):112-121, September 2017. "Can local NURBS refinement be achieved by modifying only the user interface? ", N. A. Dodgson, J. Kosinka Computer-Aided Design 71:28-38, Feb 2016. "Cluster-based point set saliency", F. Tasse, J. Kosinka, N. Dodgson, ICCV15 (International Conference on Computer Vision 2015), Dec 13-16, 2015, Santiago, Chile. "Shading curves: Vector-based drawing with explicit gradient control", H. Lieng, F. Tasse, J. Kosinka, N. A. Dodgson, Computer Graphics Forum 34(6):228-239, 2015. "Control vectors for splines", J. Kosinka, M. A. Sabin, N. A. Dodgson, Computer-Aided Design 58:173-178, Jan 2015. "Feature-based terrain editing from complex sketches", F. Ponjou Tasse, A. Emilien, M.-P. Cani, S. Hahmannm, N. Dodgson, Computers & Graphics 45:101-115, Dec 2014. "Conversion of trimmed NURBS surfaces to Catmull-Clark subdivision surfaces", J. Shen, J. Kosinka, M. A. Sabin, N. A. Dodgson, Computer Aided Geometric Design 31(7-8):486-498. "Creases and boundary conditions for subdivision curves", J. Kosinka, M. Sabin, N. Dodgson, Graphical Models 76(5):240-251, Sep 2014. "Semi-sharp creases on subdivision curves and surfaces", J. Kosinka, M. A. Sabin, N. A. Dodgson, Computer Graphics Forum 33(5):217-226, Aug 2014. "Cornsweet surfaces for selective contrast enhancement", H. Lieng, T. Pouli, E. Reinhard, J. Kosinka, N. A. Dodgson, Computers & Graphics 42:1-13, Aug 2014. "Comparing estimated gaze depth in virtual and physical environments", A. T. Duchowski, D. H. House, J. Gestring, R. Congdon, L. S. Šwirski, N. A. Dodgson, K. Krejtz, I. Krejtz, Eye Tracking Research & Applications (ETRA), March 26-28, 2014, Safety Harbor, FL, ACM. "Rendering synthetic ground truth images for eye tracker evaluation", L. Šwirski, N. Dodgson, Eye Tracking Research & Applications (ETRA), March 26-28, 2014, Safety Harbor, FL, ACM. "Subdivision surfaces with creases and truncated multiple knot lines", J. Kosinka, M. A. Sabin, N. A. Dodgson, Computer Graphics Forum 33(1):118-128, Feb 2014. "Automatic construction of 3D animatable facial avatars", Y. J. Gao, Q. P. Zhao, A. M. Hao, T. M. Sezgin, and N. A. Dodgson, 23rd International Conference on Computer Animation and Social Agents (CASA 2010), St Malo, France, 30 May 2010-02 Jun 2010. Video simulating one of the experimental setups. "Semi-autonomous avatars: a new direction for expressive user embodiment", M. F. P. Gillies, D. Ballin, and N. A. Dodgson, Animating Expressive Characters for Social Interaction, Ruth Aylett and Lola Cañamero (eds. ), John Benjamins, Chapter 14, pp. 235-255. "Stylized Multiresolution Image Representation", Mark Grundland, Chris Gibbs, and Neil A. Dodgson Journal of Electronic Imaging 17(1), pp. 013009:1-013009:17, ISSN 1017-9909. "Decolorize: Fast, contrast enhancing, color to grayscale conversion", M. Grundland and N. A. Dodgson, Pattern Recognition, 40(11):2891-2896. ISSN 0031-3203. "Nonlinear Multiresolution Image Blending", Mark Grundland, Rahul Vohra, Gareth P. Williams and Neil A. Dodgson, Machine Graphics & Vision 15(3-4):381-390, ISSN 1230-0535. "Color search and replace", M. Grundland and N. A. Dodgson, Computational Aesthetics 2005, L. Neumann, M. Sbert, B. Gooch, W. Purgathofer (editors), pp.101-109, ISBN 3-905673-27-4. Presented at Computational Aesthetics in Graphics, Visualization and Imaging, Girona, Spain, 18-20 May 2005. "Automatic contrast enhancement by histogram warping", M. Grundland and N. A. Dodgson, Computational Imaging and Vision 32:293-300, Springer, ISBN 1-4020-4178-0. "Interactive contrast enhancement by histogram warping", M. Grundland and N. A. Dodgson, Computational Imaging and Vision 32:832-838, Springer, ISBN 1-4020-4178-0. "Time-multiplexed autostereoscopic camera system", N.A. Dodgson, J.R. Moore and S.R. Lang, Proc. SPIE 3012, SPIE Symposium on Stereoscopic Displays and Applications VIII, San Jose, California, 11th-13th Feb 1997. Abstract, PDF of the paper (900kB), PDF of a longer version (300kB, Tech. Report 398, June 1996, in booklet format). "Time-multiplexed color autostereoscopic display", J.R. Moore, N.A. Dodgson, A.R.L. Travis and S.R. Lang, Proc. SPIE 2653, SPIE Symposium on Stereoscopic Displays and Applications VII, San Jose, California, 28th Jan-2nd Feb 1996, pp. 10-19. JPEG of Figure 6 (236kB, in colour). "Analysis of the viewing zone of the Cambridge autostereoscopic display", N. A. Dodgson, Applied Optics: Optical Technology & Biomedical Optics, 35(10), 1st Apr, 1996, pp. 1705-1710. "Autostereoscopic 3D display in laparoscopic surgery", N. A. Dodgson, N. E. Wiseman, S. R. Lang, D. C. Dunn and A. R. L. Travis, CAR '95 (Computer Assisted Radiology), Berlin, 21st-24th Jun 1995, pp. 1139-1144.